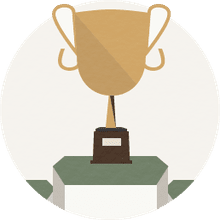 The long jump is the oldest known athletic jumping event, dating to the ancient Greek Olympic games, so if proper statistics were available, a modern world record-holder could claim to be the greatest long jumper in more than 2,600 years. There is recorded evidence of an ancient jumper surpassing 7 meters (23 feet), although his technique was different – he carried hand weights, for example – and Greek officials sadly neglected IAAF monitoring standards for wind speed, drug testing, etc. The long jump world record progression, therefore, begins around the turn of the 20th century. The United States has dominated the long jump world record charts, and Americans such as Myer Prinstein and Alvin Kraenzlein held generally recognized world records in the late 1890s. But the first long jump world record-holder recognized by the IAAF was Great Britain’s, Peter O’Connor. The English-born but Irish-raised O’Connor set an unofficial world record early in 1901 and then leaped 7.61 meters (24 feet, 11½ inches) in Dublin on Aug. 5, 1901, a performance that was later recognized by the IAAF as the first men's long jump world record. O’Connor’s mark stood for almost 20 years before the initial squad of American record-holders took charge. Edward Gourdin was the first to pass the 25-foot mark, leaping 7.69/25-2¾ while jumping for Harvard in 1921. Robert LeGendre broke Gourdin’s mark during the 1924 Paris Olympics, but not in the long jump event. Instead, LeGendre achieved his record-breaking jump of 7.76/25-5½ during the pentathlon competition. Gourdin reportedly leaped more than 7.8 meters (25-8) the day after the 1924 Olympic long jump final, but he did so in an exhibition that wasn’t sanctioned by the IAAF, so he didn’t regain world record status. American DeHart Hubbard leaped 7.89/25-10¾ while competing for the University of Michigan in 1925 and owned the world mark for three years until Edward Hamm reached 7.90/25-11 at the 1928 U.S. Olympic Trials. Sylvio Cator of Haiti took the world record away from the United States with a leap measuring 7.93/26-0 later in 1928. Chuhei Nambu brought the record to Japan with a 7.98/26-2 effort in 1931. Nambu also set the world triple jump mark in 1932, becoming the first man to own both horizontal jumping records simultaneously. Nambu’s long jump performance stood up as the Asian record until 1970, but his world mark was broken during a memorable performance by Jesse Owens in 1935. Competing in the Big Ten championships for Ohio State, Owens broke three world records and tied another in a 45-minute span, despite suffering from a sore back. On the track, he tied the world 100-meter record, and set world marks in the 220-yard run and 220-yard hurdles. After winning the 100 he took just one attempt in the long jump, leaping a world record 8.13/26-8, becoming the first man to break the 8-meter barrier. Owens owned the world mark for 25 years before fellow American Ralph Boston began his assault on the record book. Boston turned up for the 1960 Olympics by jumping 8.21/26-11¼ and then leaped past the 27-foot mark twice in 1961, peaking at 8.28/27-2. Igor Ter-Ovanesyan of the Soviet Union broke Boston’s mark in 1962. The Ukrainian-born jumper leaped into a 0.1 mps headwind but still reached 8.31/27-3¼. Boston tied Ter-Ovanesyan’s mark in August of 1964 and then topped it by leaping 8.34/27-4¼ in September. Boston improved the standard to 8.35/27-4¾ in 1965, and then Ter-Ovanesyan tied the mark while jumping at altitude in Mexico City in 1967. 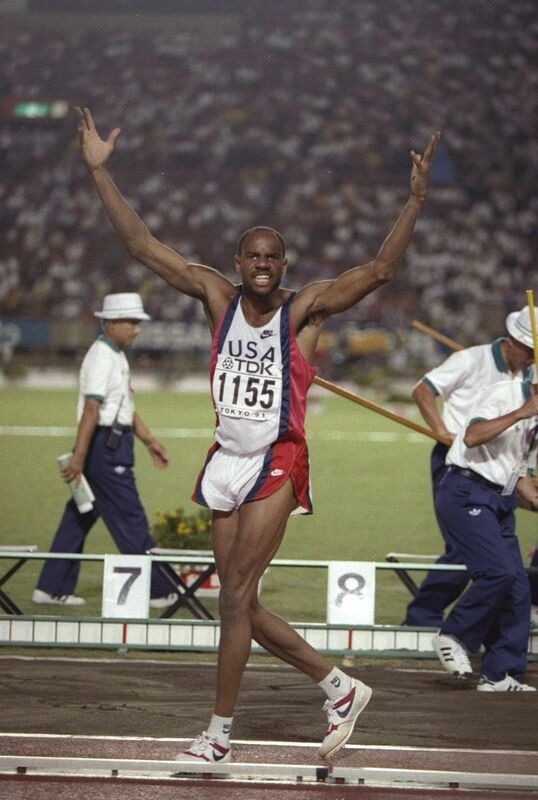 Beamon’s mark stood for almost 23 years until Mike Powell won a long jump showdown against Carl Lewis at the 1991 World Championships. Unlike Beamon, Powell was aiming at the world record, because he felt that to beat Lewis he’d have to break Beamon’s mark. Powell was correct, as Lewis leaped a wind-aided 8.91/29-2¾ to take the lead in the Championship final. The wind died down to a legal 0.3 mps before Powell took his fifth jump, which measured 8.95/29-4¼, good enough to beat both Lewis and Beamon. Ivan Pedroso of Cuba jumped 8.96 at altitude in 1995, with the wind gauge reading a legal 1.2 mps, but the gauge was obstructed by an Italian coach during each of Pedroso’s attempts – contrary to IAAF rules – so his performance wasn’t even submitted for verification. Powell himself reached 8.99 at altitude in 1992, but the 4.4 mps wind behind him was more than twice the legal limit. As of 2016, Powell’s mark remains on the books.